Running shoes are a top favorite among the fitness enthusiasts who cannot think of their day without a healthy morning or evening run. These athletic foot wears are not necessarily very pricey but you must know that the top sportswear brands have come up with some really expensive pieces. 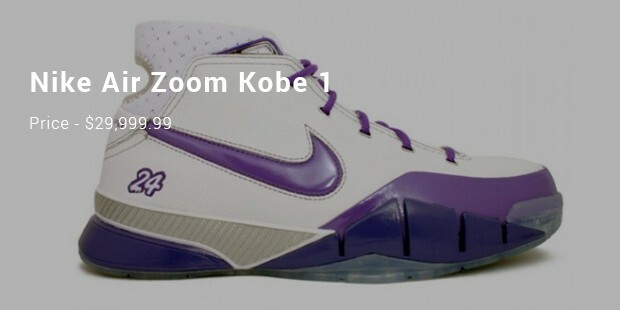 In some cases, it’s the bejeweled outlook of the shoes that have hiked the price to extreme while for the others it’s the autograph on the shoe by some legendary sportsman. Would you love to delve further into these super-pricey running shoes? Well, here goes a refined roster on most expensive running shoes today. 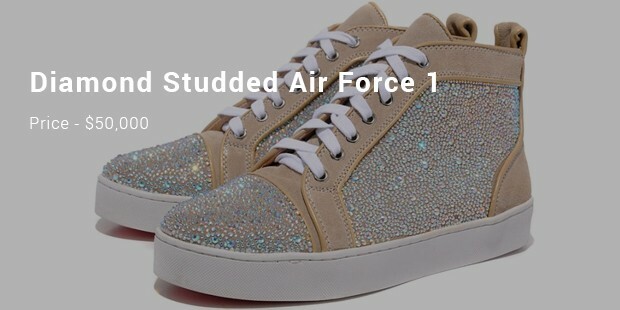 Made famous by cult footballers like Rio Ferdinand, John Terry & Wayne Rooney, these Nike shoes are accessorized by precious sapphire stones, white gold & black diamond’s which duly justify the spiked price tag here. These are no regular shoes but are a designed product, created by famous designer Luisa Marco. The status of a simple running shoe is inevitably elevated when the pair gets signed up by a legendary sportsman. 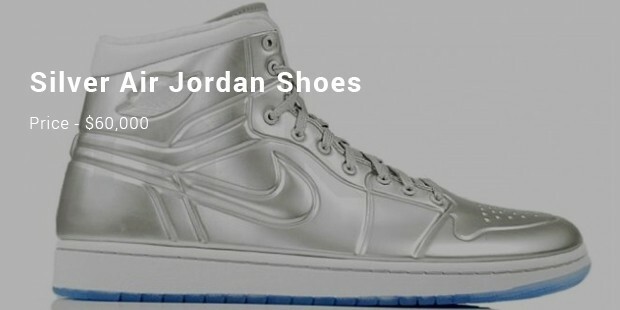 Same has happened here & these stunning silver pair proudly carries an autograph from none other than Michael Jordan. It was a gift for the great player on his birthday and was put up by him on an auction. The 3rd name on list again goes to Nike for its diamond studded Air Force 1. 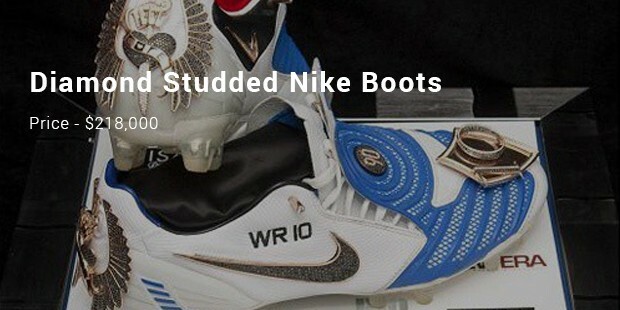 The shoe has been bejeweled with 11C diamonds around the logo of Nike. Moreover, it’s also decked up with golden metallic cast. No wonder, it’s the third most expensive running shoes in the world. 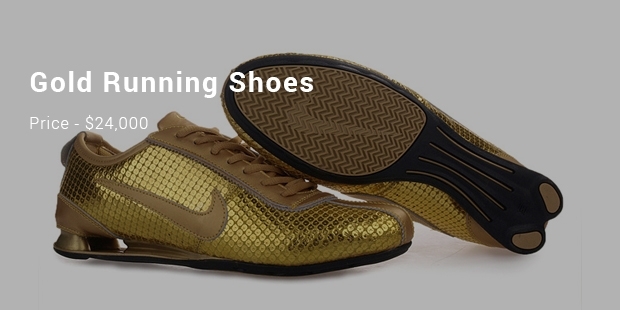 These expensive running shoes are every runners’ delight given their premium make and magnificent looks. In fact, these are not just any simple footwear but quite a collection for the treasure connoisseurs. If you would love to run the same path followed by celebs and legendary sports icons, you won’t certainly mind the elevated price tag here.